Choosing the right insurance policy is much like choosing the right bike. You want it to fit your needs and lifestyle, but at the same time be within your budget. 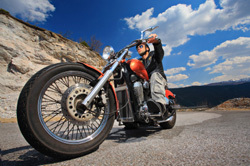 Motorcycle insurance covers most types of motorcycles including, cruisers, street sport, touring, high-performance bikes and scooters.